The Muse always has helpful email templates to get you started on those hard emails. I had no idea that Ada Lovelace – the world’s first computer programmer was Lord Byron’s daughter. Great article on color psychology in branding. 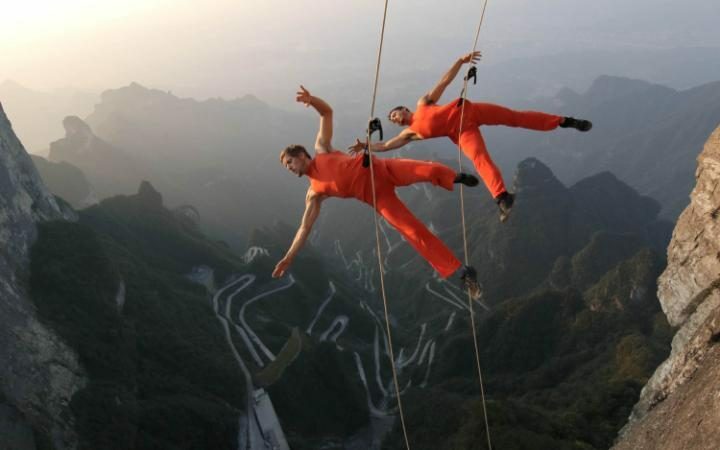 Dancers performing off the cliffs of China – also known as nope, nope, nope. I think most of us would agree the initial part of networking—meeting people—isn’t the hardest part. However, maintaining those connections is much more difficult. After all, if you don’t have an immediate reason to stay in contact with a person—you just think he or she would be “good to keep in touch with,” it’s hard to justify sending an email. As research shows, it’s likely because personal preference, experiences, upbringing, cultural differences, and context often muddy the effect individual colors have on us. So the idea that colors such as yellow or purple are able to evoke some sort of hyper-specific emotion is about as accurate as your standard palm reading. Augusta Ada King, Countess of Lovelace, born Augusta Ada Byron on December 10, 1815, later came to be known simply as Ada Lovelace. Today, she is celebrated as the world’s first computer programmer. © 2019 Dana Salman on Marketing. Theme by XtremelySocial.